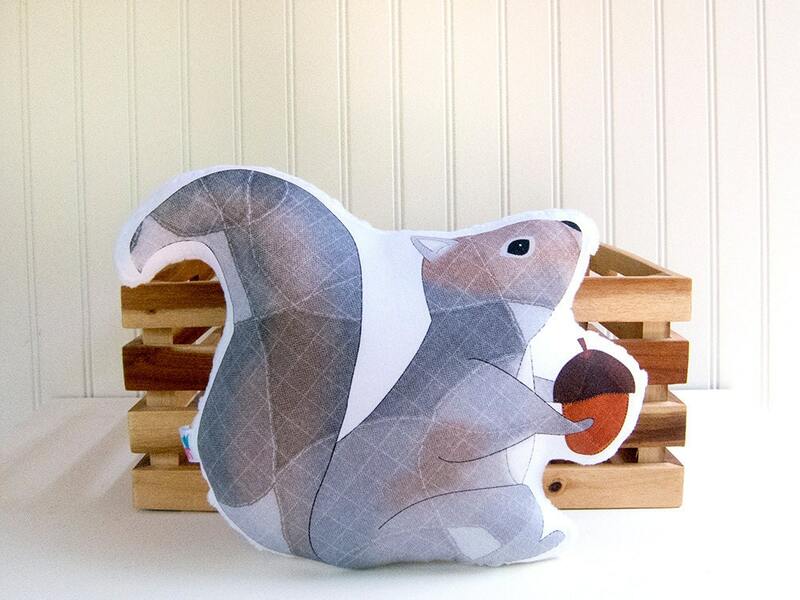 My original squirrel illustration is printed onto a soft organic cotton sateen fabric, using water-based dyes. Pillows are backed with a luxuriously soft minky dot fabric (polyester) and stuffed with polyester fiber. Measures approximately 12" wide and 9.5" tall, measuring along its widest and tallest points.